Raised in New York City, Bronwen grew up in a world full of events. While attending festivities and celebrations for family and friends had its own excitement, her favorite events were those she would help to create. She has always found a sense of magic in watching spaces transform from a blank canvas to a stylish and decorative setting uniquely framing an event. The most alluring aspect of each transformation was the way in which floral artistry highlighted and defined the space. Upon graduating from Duke University in 2002, she quickly returned to NYC, as her career began with the intensity of Wall Street. While that was not her ultimate destination, she happily found her way back into events, achieving success in managing, marketing and developing events within the sports and entertainment industries. 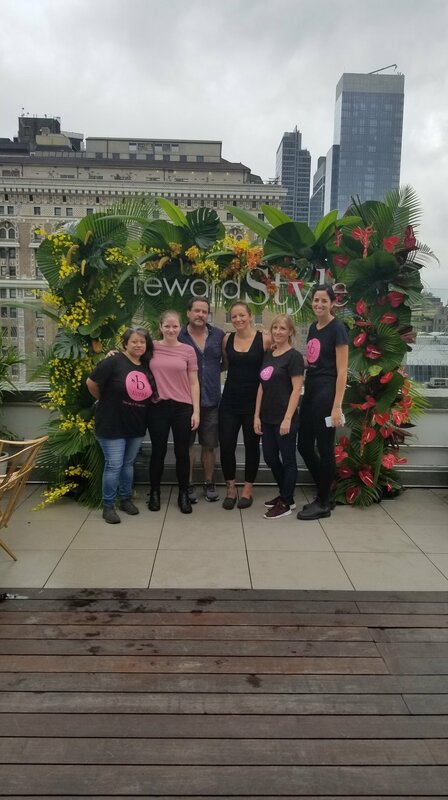 Along with her artistic training from The New York Botanical Garden and The Flower School of New York, her experience in finance and marketing drives B Floral’s unique approach to events and a vision that helps brands bloom. Passionate about giving back, Bronwen is an active member of the Board of Directors for both Ovarian Cancer Research Alliance and Change for Kids.